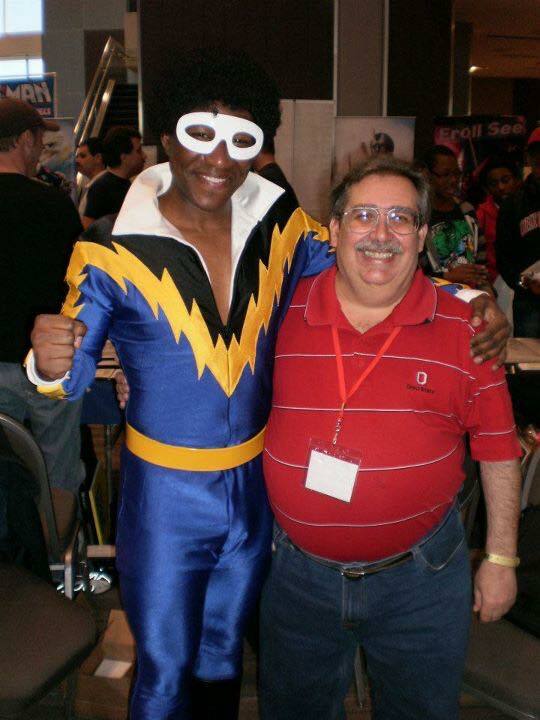 A labor of love from “America’s most beloved comics writer and columnist,” who’s been cranking out comic book commentary for almost four decades, Tony Isabella’s 1000 Comic Books You Must Read is a big, slick, lavishly produced volume. Each chapter represents a different decade—from the late 1930s to the present—and each page is illustrated with rich, colorful, beautifully reproduced comic book covers. Accompanying each cover is publisher and copyright information, along with creator credits, historical tidbits, plot synopsis, and/or short, but pointed commentary. As always, Isabella writes clearly and enthusiastically without a lick of pretension. Eschewing false modesty, Isabella, who created Black Lightning (DC’s first major African American hero), includes a number of comic books he wrote. In fact, some may argue that a disproportionate number of the featured comics bear his name, but good comics are good comics, regardless who wrote them and who wrote a book about them. As is typical with this type of book, certain fans will bemoan the absence of their favorite titles—where the heck are James Robinsons’ Starman and Mark Waid and Alex Ross’s Kingdom Come?—but the diversity on display here, encompassing every genre from romance to horror to crime to war to humor to super-heroes and beyond, is truly impressive. 1000 Comic Books You Must Read is indeed a nice looking book that is fun to flip through, but it would benefit from more text. Virtually every entry is brief, but the book’s large pages offer plenty of room where Isabella could’ve expanded some of the more interesting or important entries. Originally published in 2009, 1000 Comic Books You Must Read deservedly sold out of its initial print run and is back via a second printing. If someone were to write a book called “1000 Books You Must Read,” Tony’s titanic testament probably wouldn’t make the cut. However, comic book fans who enjoy bite-sized chunks of fun-to-read info could make a fairly convincing case that it should.